R.I.P 2018 - Horror.com Forums - Talk about horror. So another year, death continues its work..
Last edited by cheebacheeba; 01-15-2018 at 10:19 AM. Joe Frank (age 79) - radio show The Joe Frank Show. Good stuff. I'm surprised no one posted about Dolores O'Riordan, lead singer of The Cranberries, passing. You sound so serious... Cheeb posted two on Dolores on this page. The first is a pic of her, and the next is a Cranberries youtube vid. But what about Dolores! Gosh! sad that shes gone but I did just move up a spot in the world's greatest singers alive list. John Mahoney dies at age 77 of head and neck cancer. Best known for playing Martin Crane, the father of two psychiatrists (Kelsey Grammer and David Hyde Pierce) on the US TV series Frasier from 1993 to 2004. 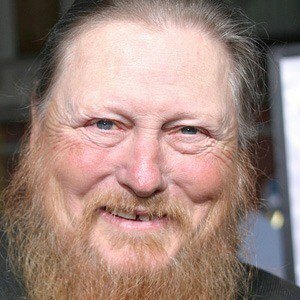 And actor Mickey Jones ... who was a charactor actor that I think I saw in every TV show. Also small parts in films. Classically placed in a biker gang. He was also a drummer before that, playing with The First Edition and playing for Bob Dylan, Johnny Rivers and more. Mickey Jones is playing drums in this song for Tinini Lopez, in this live 1964 album. Last edited by Sculpt; 02-08-2018 at 03:35 PM.